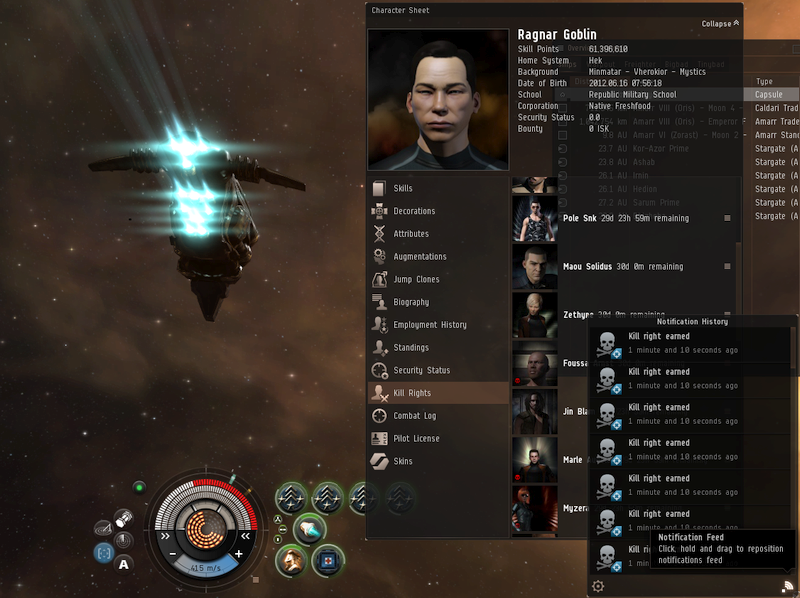 Amarr local is full of Goonies and their minions. However the Zkillboard 5B+ segment shows no kills for today. Goons are limited to kill triple-antitanked freighters and similar idiocy. I'm torn about these: I want Goons to fail, but I also want someone putting 3 cargo expanders to his ship to die. They attempted to kill a Rhea, but they could only get it to 60% hull. Afterwards repair started from various anti-gankers, including my trio: Seeing the repair in progress, Goonies just gave up on this bigger ship and the bumpers abandoned it. 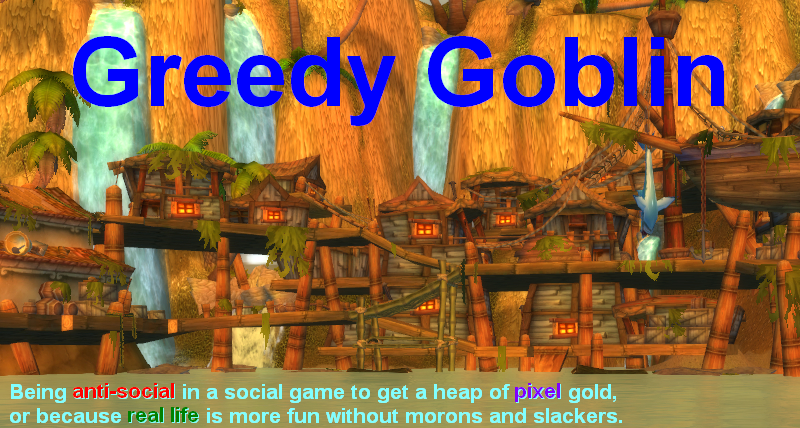 They are back to the lowly task of clearing cheap morons. While Goons are clearly trying, they are just a shadow of their old self. Come and join mopping the last ones up! Update: Goons shown me who is the boss and ganked my offgrid booster: Yes, Astartes are armor-tanked and they didn't even break the shields. I got 29 kill rights from this "gank". 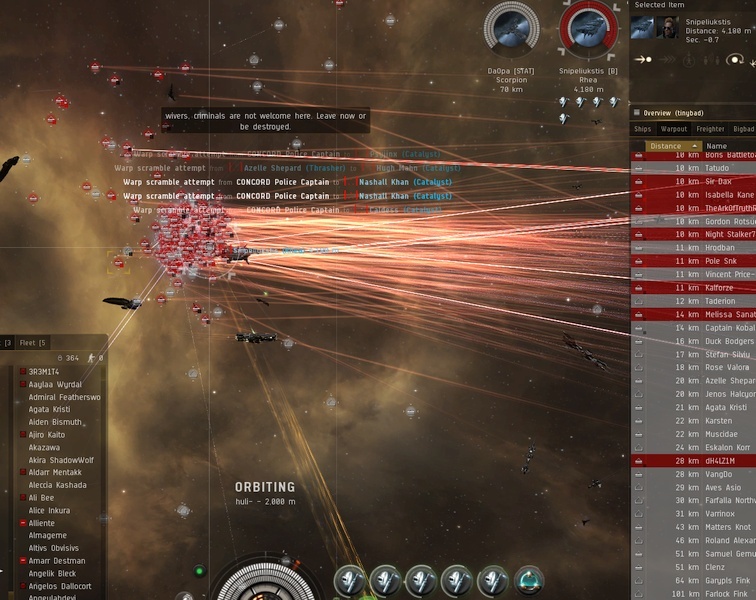 Update2: Goons are keep killing 1-2B, triple-antitanked morons. With this speed, it'll take 2 weeks to surpass last Burn Jita numbers. They don't even attempt to kill JFs and pass on tanked Obelisks. Meet an epic moron, who didn't die to gankers, but got into limited engagement with a Tengu. Not even US TZ yet and they've already killed multiple freighters a JF, an orca and a range of other smaller ships. started since downtime. as announced. good to see some fellow antigankers. The fact that you start mocking them while very well knowing how all these mechanics work is just cheap and hypocrite... I fell sorry for you, I really do. If you even read the Goon forum post, this isn't about killing only expensive freighters. They are out to kill anything and everything.... That's the difference between previous burn Jita's and this. Sorry Gev, got on a 5.6 billion orca kill...but don't let facts get in your way. They are out to kill anything and everything.... That's the difference between previous burn Jita's and this. Well they don't. I'm still untouched and untargeted. If that is the best you can do I. Am. Not. Impressed. You most certainly don't target tanked hauls what so ever. What's your eve character name? Are you upset that nobody is paying attention to how insignificant you are?